One of the most difficult things about success is following it up with more success. That�s true when both playing in miniature golf tournaments and running them. Last year we had the opportunity to run the 1st Matterhorn International Pro-Am, over at Matterhorn Mini Golf in Canton, CT and we had a beautiful day of weather and over 30 people play between the two divisions. This is a fair amount for a local tournament, running for the first time. The question on our mind this year was if we could replicate those types of numbers or even exceed them. As of the time of this writing, it looks like we�ll have a slightly smaller field than last year (we had a lot of sign-ups the day of last year so who knows what Saturday will bring) but the pro division looks like it�s going to be super competitive. This year we expanded the paying places to 8th and it looks like we got a couple of people to jump from amateur to pro as a result. This is awesome, and the same exact path I took way back in the day. I felt I had reached as far as I could go on the amateur side, looked at the pro payouts and thought them attainable and I made the jump, never looking back. I hope the same holds true for these folks. 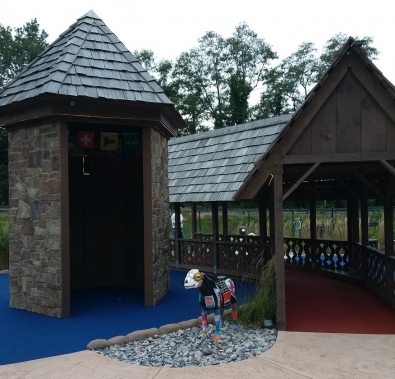 The even better part is that we�re getting a lot of interest in the amateur side and I hope that continues a pipeline of people wanting to take a chance at the next level of miniature golf. Since this is the second year, I feel like we�ve almost hit our stride in terms of what we need to do to make the tournament a success. We know the format and the best way to make sure we keep things on time. We�ve added bits and pieces to our rules listing and players meeting to try to give people as much information as possible to understand what they are doing and enjoy the tournament. We also seem to have all the staff lined up that we need (including picture takers). The weather even looks like it going to cooperate with it being on the cooler side and overcast, perfect putting weather. Given that I�m actually feeling pretty good about running the tournament, although I�ll always be a little nervous/stressed until its over. This means I can try to turn my attention to my play. This summer, Autumn over at Matterhorn ran a drop-in league on Monday nights. It�s served as a good way to drum up someone business on a slower night plus try to get people to try it and maybe come back for the tournament. For those of us already in the tournament, it�s just another way to get some cheaper practice, which was needed as Autumn adjusted hole 18 this year, moving the pin placement. I played in three weeks, winning all three weeks, and I shot ok overall, averaging just around a 40 for the rounds. It was around where I shot for the tournament last year but I know it�s not going to be good enough for the win. My main problem seemed to be that while I was doing well on some of the tougher holes and holding steady, or even picking up a stroke, I was dropping strokes on some of the easier holes when I was trying to be more aggressive on the ace shots. This year I decided to go straight Chromax ball for all of the holes this year, versus using some of the European balls. I just don�t have enough time to practice using the other balls even though I know there is an advantage to be to had on a couple of the holes. Today at practice was a bit more of the same, though I did bring my average down for the five rounds I played to under 40. Overall that makes me feel pretty good going into the tournament tomorrow, which is good because I know I have a lot of other things to take care of this evening to get ready to administer the tournament. So what are my predictions for this year? -	There�s going to be at least one playoff for a paying spot. -	Field � 20 to 1 (will be tough to crack past the top guys but no one is really out of the running with only 5 rounds at this course). I�ll be back post tournament with a review of how everything goes!